Below is a partial list of services offered by our capable staff. These are among the best, simplest, most inexpensive methods discovered to date for simple and sustainable living. This includes creating a Farm • Garden • School • and Retreat for sustainable living in the 21st century. 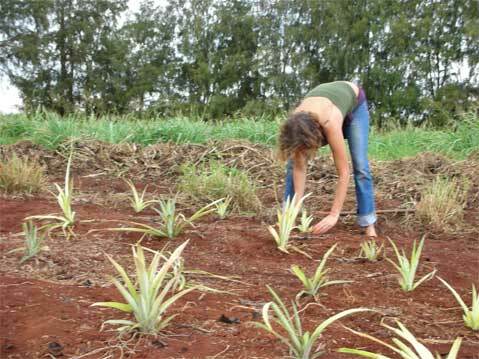 • Farm Generating enough fruits, vegetables and other plants and trees to feed and provide for staff, students, clients, visitors, and fellow residents of Kauai. This includes a successful fruit-stand that is open six days per week and that is half the price of other fruit stands. There is also the vision and plan for serving up a hot kettle of Jamaican food at the entrance to the land. • Garden The Farm is made up of many small gardens and food forests of many different kinds. Gardening involves design, construction, and maintenance of garden beds; planting seeds, weeding, harvesting, and composting. • School This is a school because we are researching and learning more about Farming in Hawaii including Ancient Hawaiian Land Practice, sustainable living methods, about other cultures and ways of doing things. • Inner Planes Travel: "Imagination is the most powerful tool humans possess." We'll take you anywhere you want to go in the world with full sensory perception- see it, hear it, smell it feel it just as if you were there in person. There and back in 10-20 minutes. 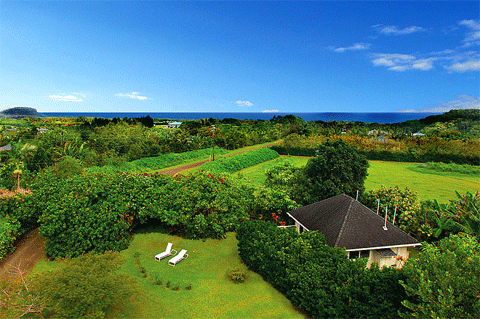 • Retreat Retreat services at Kaua'i University are among the best in the world. These include R&R, good food, quiet, and peaceful surroundings. It also includes simple yet high-level, very effective meditation, healing arts, meditation, nutrition, counseling, massage and other services. Communicating helping to Heal people at a distance, including those who have died or "passed-on". All services are $1 per minute for members and $3 per minute for non-members unless otherwise noted such as group rates that are available for trainings and courses. Scholarships, Work-trade, and Financial Assistance are available. No one is turned away due to inability to pay. Simply send us an email describing your situation to KauaiUniversity@gmail.com and you will get a prompt reply of approval or suggestions of how you may best take advantage of the training, services and resources we provide. to live, work, play or just stay... on Kaua'i.